Melt butter on low fire. 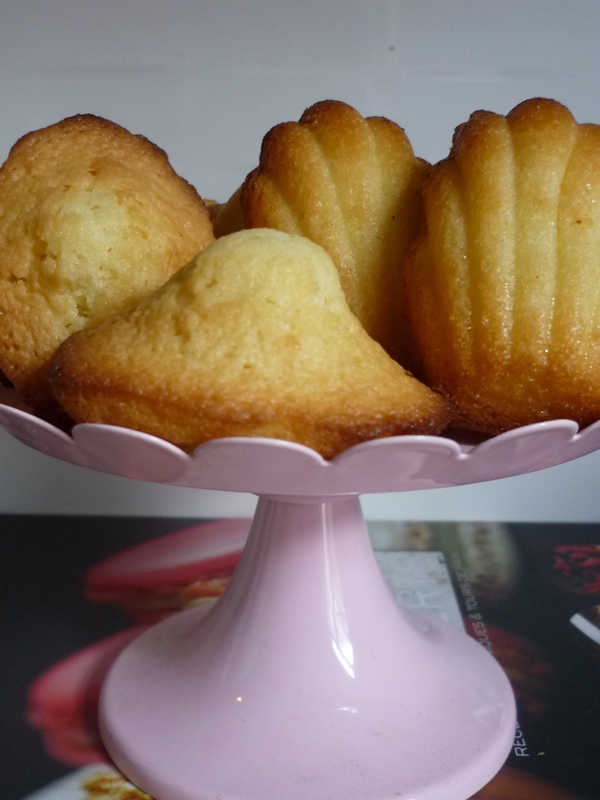 In a bowl or a free standing mixer with a leaf, beat the ground almonds, sugar and eggwhites. Slowly add the apricot purée and honey. Continue to beat until you get a creamy consistence. Add the beaten eggs and the melted butter. Store the mixture in the refrigerator for at least 1 hour. Remove mixture from fridge and fill up a piping bag with the mixture. Fill muffin cases. If not in silicone, grease the moulds. 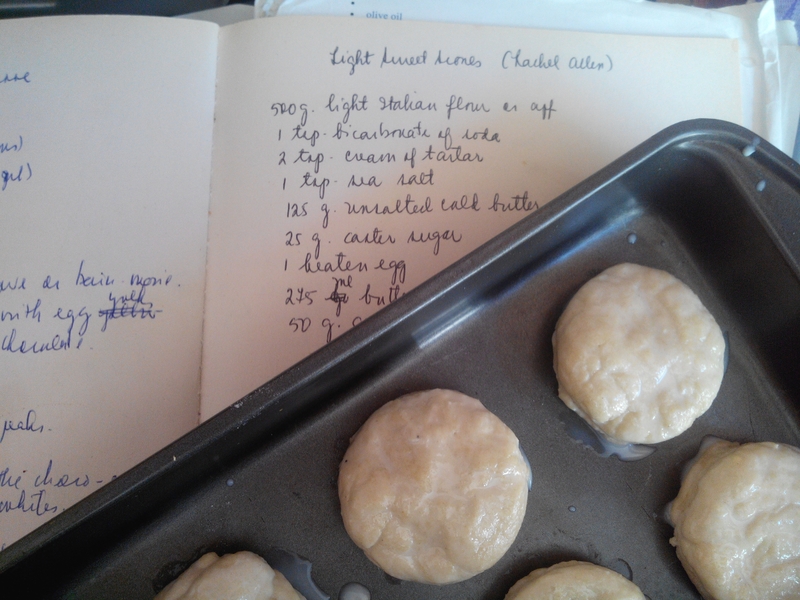 It took me four trials of different recipes before I finally found the best recipe. This one is from Pierre Hermé, famous French pastry chef whose macaroons are simply divine. 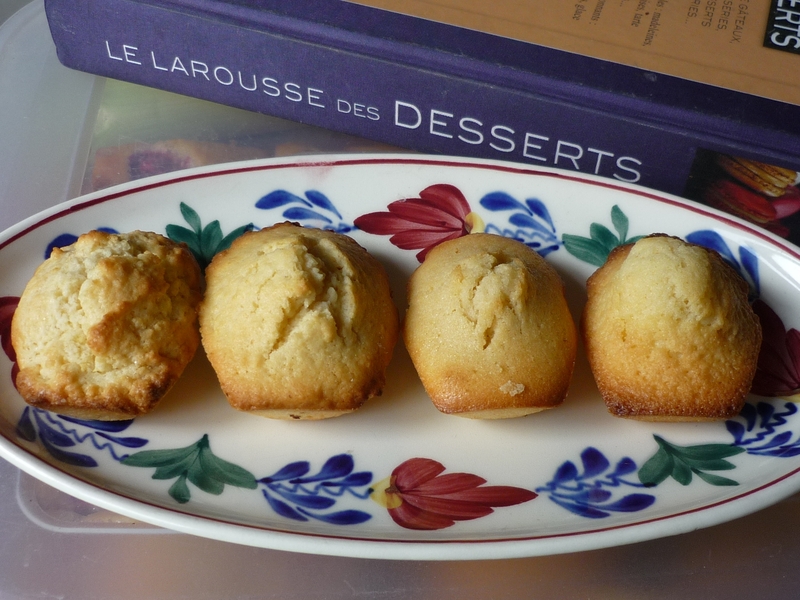 His madeleines are soft, buttery and just about sweet. Preheat oven at 220°C. Sift dry ingredients except sugar. Rub in cold, diced butter until the mixture resembles bread crumbs. Add the sugar and mix well. (At this point, I would scoop the flour and raise it several times to bring in air). Set aside about a third of the beaten egg and combine the rest with the buttermilk, then slowly add to the flour mixture and mix briefly to combine into a moist dough. Place on a slightly floured work surface and knead ever so slightly to bring together, then press or roll out to a thickness of 2 cm. Using the cutter, cut out approximately 12 scones and place on a floury baking tray. 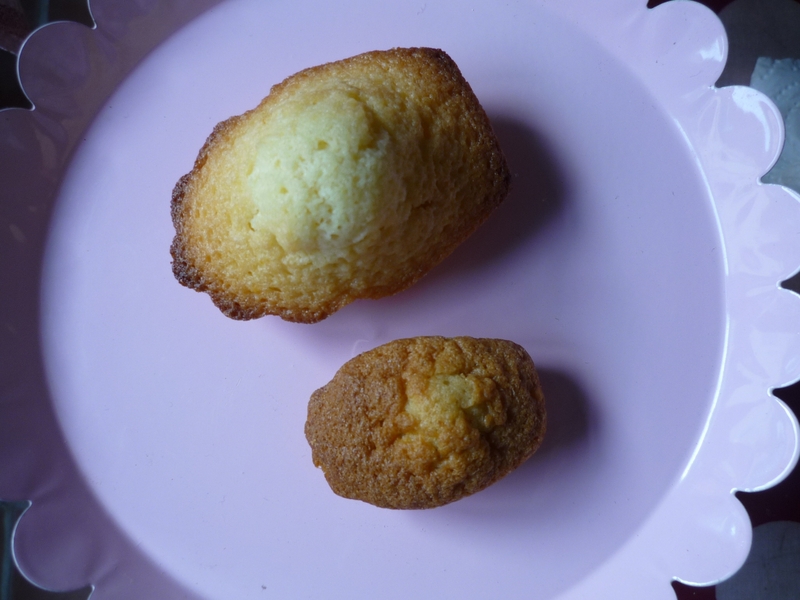 Add about a teaspoon or so of buttermilk to the remainder of the beaten egg to make an egg wash. Brush the scones withe the egg wash and bake in the oven for 10-12 minutes or until golden brown on top. Eat as soon as possible. Pre-heat oven to 200°. Rub cold butter with self-raising flour until they resemble bread crumbs. Add the sugar until they are well blended. (Again, at this point, I would spend about three minutes scooping and raising flour to bring in a lot of air) Beat eggs with buttermilk. Slowly add this egg-buttermilk mixture into the flour mixture until just about blended. Mixture should be not to dry, not too moist. You should be able to make a soft dough. Instead of a cutter, I just use my hands to form unshapely balls and place them on a greased, floured cookie tray. Bake for 10-12 minutes until golden brown. I remove mine after 10 minutes. Postscript. 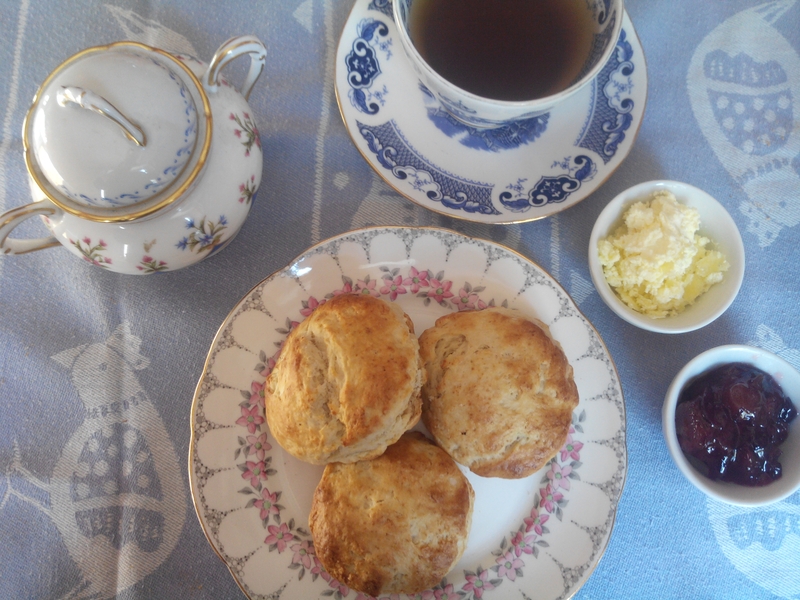 Scones are best eaten warm, fresh from the oven. I admit being a glutton but not to the point of eating 12 scones in one sitting. So, I freeze them and when I feel like being comforted, I bring them out of the freezer and warm them in the oven for about 5-10 minutes.